^ Bellier et al. (2001). 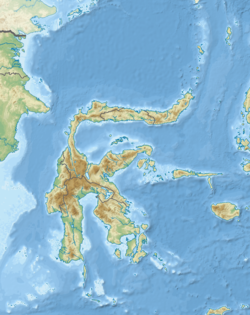 “High slip rate for a low seismicity along the Palu-Koro active fault in central Sulawesi (Indonesia)”. Terra Nova, Wiley-Blackwell 13 (6): 463-370. doi:10.1046/j.1365-3121.2001.00382.x. https://hal.archives-ouvertes.fr/hal-00802264 2018年9月28日閲覧。.